I really like their hand lotion and boy could i use some of this right now it’s good stuff. My hands are super dry and need something like this the perfume lotions hurt my hands. I’d love to try their whole line of products. I follow you n email daily and LOVE YOUR BLOG! Shea Butter FootCream would be healing for my cracked heels! Thanks! I’d like to try the foot cream, especially as winter is coming up. Country Cream would be ideal. I have not tried these products before but would love to try the body creme. I heard that this is the best stuff for dry calloused feet too. The Body Cream sounds lovely for the upcoming winter cold season! I would like to try the Extra Care with 10% Urea for Dry Skin Udderly Smooth® Udder Cream for my son. He has eczema and this cream is fragrance free which is a must for him. The Shea Butter Foot Cream would be fabulous for my feet as I am on them all day too! Thank you! I love Udderly Smooth – as a knitter, my hands tend to get dry, cracked and flaky. This cream works really well with no greasy after feel. Good stuff. I have heard of Udderly Smooth, but never got to try it. I would like to try the Hand & Body Moisturizing Lotion for Dry Skin. I use Udderly Smooth lotion on my arms/legs because I have very dry skin. Udderly Smooth Original Formula–works for everything. I could really use the Shea Butter Foot Cream! I’m in sandals a lot also, so my heels really need some T.L.C.! Sounds like it’d be pretty good 😀 Good Luck Ladies! 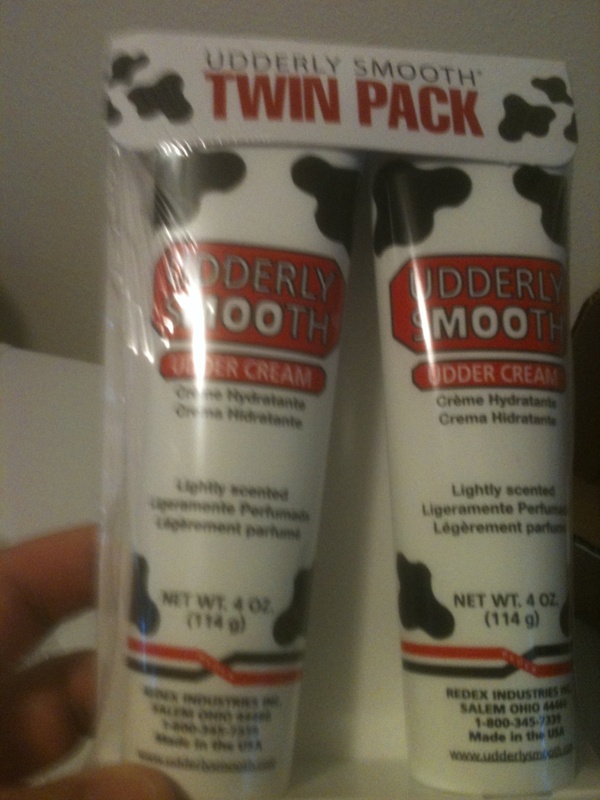 I would love to try the Udderly Smooth original Formula. The Udderly Smooth Original Formula looks great. I want the Shea Butter Foot Cream. Like you, I tend to go barefoot or wear flip flops and my feet show it, so I like the Udderly Smooth® Foot Cream. Shea Butter Foot Cream would be nice! I get horribly cracked heels, especially in the colder months, so I’d really like to try the foot cream. 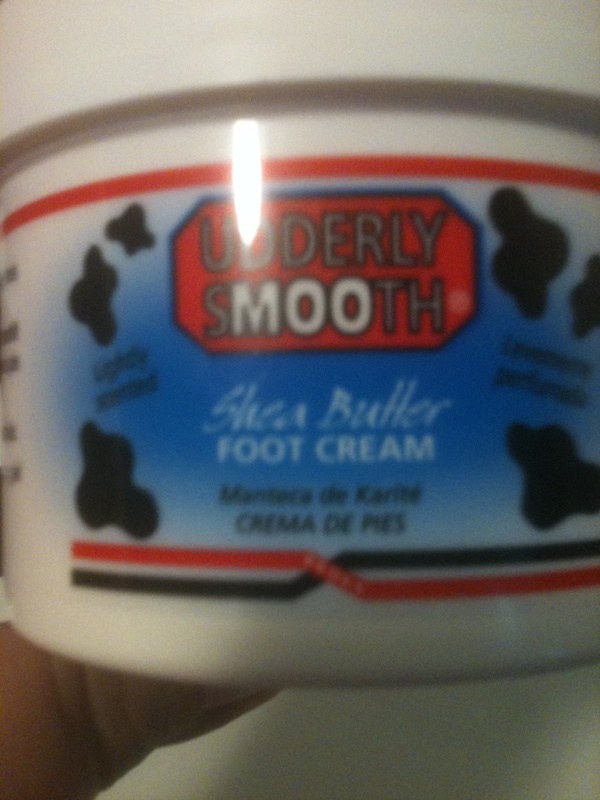 Udderly sMOOth foot crearm! My feet are very dry all the time. This would shape ’em up! I like the Udderly Smooth Extra Care Cream. I could sure use that foot cream. Tough stuff on ashy, dry, scaly skin. I would like to try the Country Cream! I would like to try the Shea Butter Foot Cream. My feet get so dry and cracked especially during the winter. I would like to try the Shea Butter FootCream. 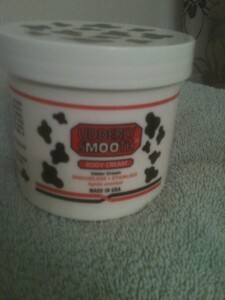 The product I like best from the Udderly Smooth line is the Hand & Body Moisturizing Lotion for Dry Skin.